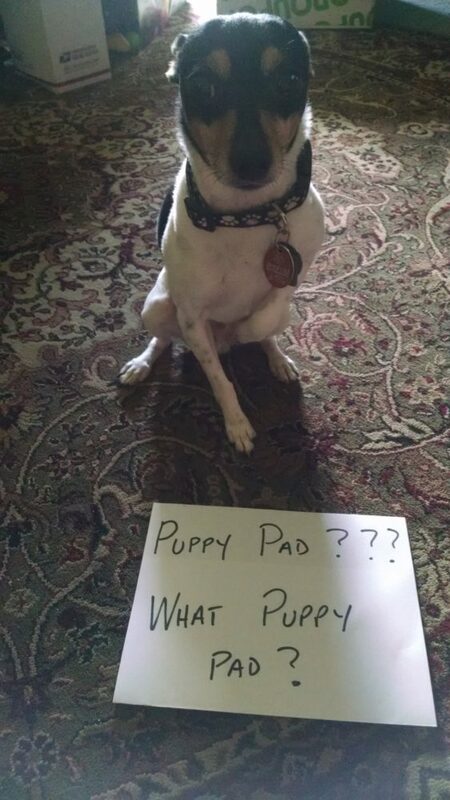 My parents provide me puppy pads all over the house. I seldom acknowledge them, but on the rare occasion that I do, I barely stand on the edge of the puppy pad while me bum is still hovering over the rug. Posted September 30th, 2016 .